The very first and valid question is, "Is vitiligo curable"? The answer is "YES, it is curable" There are lots of healing systems being used in the world today but every system does not have the capability to cure every disease. Each has its merits, demerits, limitations and capabilities. If one medical system does not offer effective cure for a particular disease, that does not mean that other treatment systems will also not cure. A disease rated as incurable by one system does not make it incurable; other systems may have the capability to cure. Modern medical system has no cure for vitiligo. The system offers different kinds of lotions, creams, ointments and other vitiligo makeup to hide the patches or make them less noticeable but can neither stop the spread nor can cure vitiligo effectively. The laser treatments offered by modern medicine may also give only temporary relief, not permanent cure from within. Herbal Treatment system has the capability to cure vitiligo effectively provided the practitioner understands the mechanics involved. Simply prescribing the medicines is not enough. Vitiligo needs careful management and treatment for permanent cure. Homeopathic Treatment of Vitiligo (leucoderma). For lots of people it is hard to believe that when modern medical science has no cure for vitiligo, how can homeopathy cure it but the fact is that it can. Homeopathy has its own philosophy and way of treatment. The system does not look at vitiligo as local disorder limited to the skin, to be treated externally like cuts, wounds or burns. Homeopathic treatment is based on complete analysis of individual symptoms considering the person as a whole. Medicines chosen after complete case taking according to correct procedure of homeopathy automatically takes care of the underlying cause and cure vitiligo. However, it must be understood that each and every case of vitiligo cannot be cured for many reasons. In rare cases it does not yield at all even after several months of treatment. It is not necessary that homeopathic medicines must essentially be for oral use only and not in the form of something to be used externally. 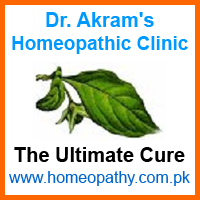 Applications for external use can be prepared as required from homeopathic medicines to speed up the cure. For homeopathic treatment of vitiligo, both internal and external medicines are used for better and quicker results. We know how to effectively treat vitiligo. We have done in mnay cases. Consult us today.